My sister and I went up to Wareham, MA this afternoon to donate a carload of stuff from my grandfather’s house to Salvation Army as we help him clean stuff out. Realizing that one of my favorite food joints was right up the street, I decided that lunch was at Pizza Boy today. 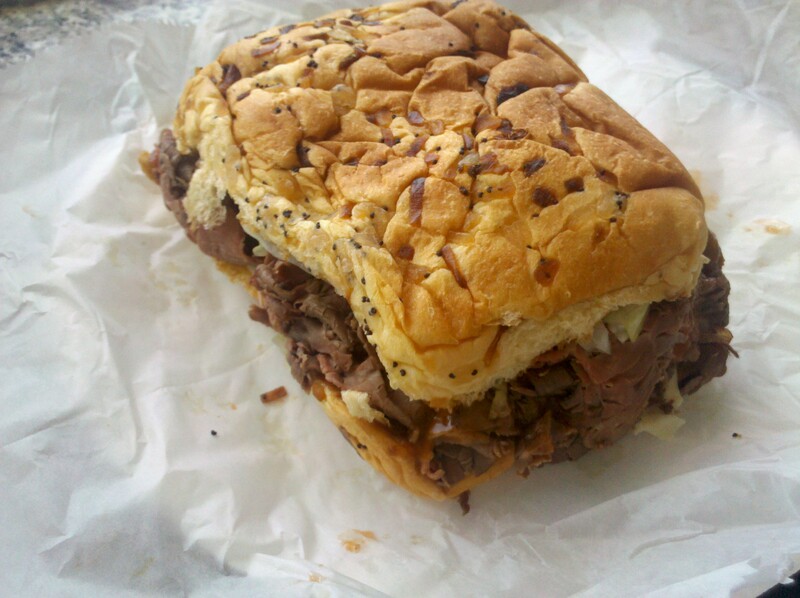 Take a look at this amazing hot roast beef sandwich.